The three newest consumer credit cards—two from Bank of America, one from JPMorgan Chase—reflect consumer exasperation with some of the current card “features” that may not look so good to savvy travelers. All three have some advantages that many will appreciate, but none yet provides a comprehensive travel-feature set. The Bank of America Travel Rewards card (and a similar card for business) offers one-and-a-half points, with an equivalent $0.015 cash value, for every $1 charged to the card. That’s more than you get with most cards, which tend to cluster around $0.01 per dollar. The card carries no annual fee. The BankAmericard Privileges credit card with Travel Rewards offers two points per dollar charged. This card carries an annual fee of $7, waived for BofA customers who do lots of other business with the bank. Both cards offer no surcharge on foreign transactions, a feature that many of you have come to favor. They also include the usual laundry list of additional features: No limit on the total number of points earned, no expiration on points, 24-hour travel and emergency assistance, auto-rental collision-damage coverage, travel-accident insurance, lost-baggage reimbursement, and access to a concierge service. As with similar cash-value cards, using your points for air travel is easy. Just go to your preferred airline, online travel agency site, or regular travel agent; buy the ticket with the credit card, then log on to your account site to use points for all or part of the purchase price. When you actually buy a ticket, you obviously avoid the blackout dates and seat limitations that hobble you when you try to use airline miles. The new Fairmont Visa Signature Card, from JPMorgan Chase, also offers no-fee foreign transaction processing. Reward benefits are concentrated with Fairmont hotels, including discounts, free nights, and a number of other useful features, plus the usual list of extras. Both banks are responding to obvious consumer dissatisfaction with airline frequent-flyer miles. Sure, getting a mile in an airline program for every dollar you spend sounds great, but wait until you try to find a seat for the featured 25,000 or so miles. Many of you have become totally frustrated with trying to use your miles for travel, but the airline programs are very stingy with their points when you try to use them for something else. As I reported recently, you’re likely to realize no more than $0.006 per mile when you use airline credits for anything other than air travel, so getting two to three times that value in cash sounds like a pretty good deal. Similarly, many of you highly resent the typical 3 percent bank fee for processing a foreign transaction when the bank really performs no specific function in the currency conversion process. And although 3 percent isn’t a big number in the overall scheme of things, you rightly tend to resent obvious rip-offs, no matter how small. So what’s missing from the new cards’ mix of features? There’s still no chip-and-PIN capability to facilitate their use overseas. As I’ve noted often before, most of the developed world outside the United States uses the newer chip-and-PIN security technology for credit and debit cards, and many Americans face difficulties in using their older-technology cards overseas. Those “difficulties” turn into real problems in cases where an automatic dispenser or fee-collecting machine is the only available way to pay. I keep asking the banking folks why, and they keep fobbing me back with either nonsense excuses or a “we’ll keep you posted” promise. As I’ve been saying for some time now, unless you earn a lot of airline miles by actually flying—and gain the coveted gold, silver, platinum, or whatever elite level—you’re probably better off with a credit card that gives you cash or cash equivalent rewards rather than miles. The exception here is if you prefer to use your miles for premium-class travel or upgrades. Cash equivalent doesn’t work there: Cash ticket prices are far too high; you might as well just try to find the occasional available frequent-flyer seats. But if you fly in economy, stick with the high-payback cards, including the new BofA cards, Capital One cards, and a few others. 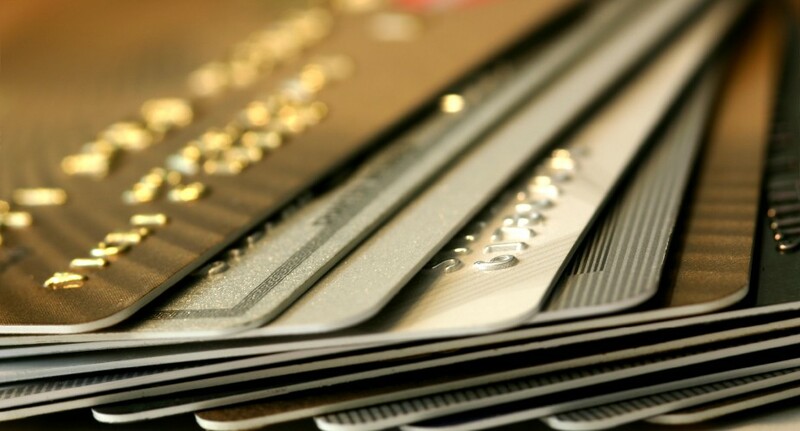 Why Your Credit Card May Not Work Outside the U.S.